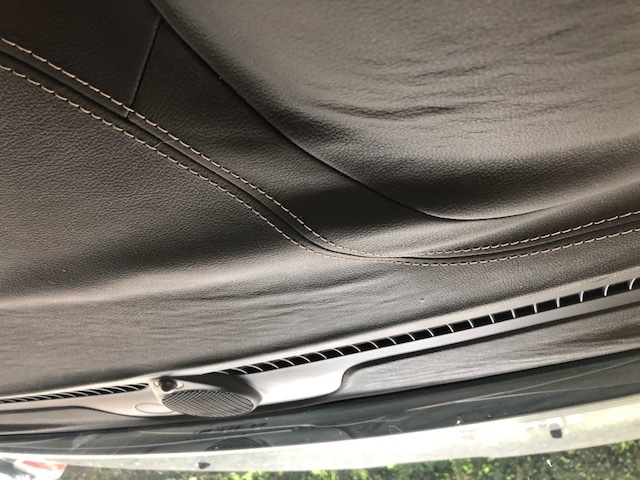 The leather on my 2014 Summit Jeep Grand Cherokee has been peeling off of the dashboard. I did a quick search online to figure what others have done to repair the issue. I came across multiple online forums where many other Summit owners reported the exact same issue. I want to add my own experience with this problem so that my situation is accounted for too. I'll certainly bring this issue to the attention of a Service Adviser upon my next visit to the dealership. Just bought this car a year ago and just like everyone else here I've got the same issue. Bubbling leather dashboar. Only 43k on the car and it's kept in a garage. Jury is still out if Jeep is going to do the right thing and replace it. Dashboard has wrinkles and bubbles. I read several forums and articles about the issue and how it happens to just about every Jeep owner. The kicker is Jeep does nothing about it, not a recall or admit its a defect in the manufacturing process. I read people paying 2500 to fix a Jeep manufacturing defect because they won’t fix it. You spend all this money on a nice car and a couple of years later the interior dashboard looks like crap. Thanks Jeep. Never again. This is BS for a 50K vehicle. I've never seen this. There needs a be a freaking recall on this. JEEP TAKE RESPONSIBILITY FOR YOUR CRAP!!!! THIS IS A PROBLEM WITH YOUR BUILD!!!! 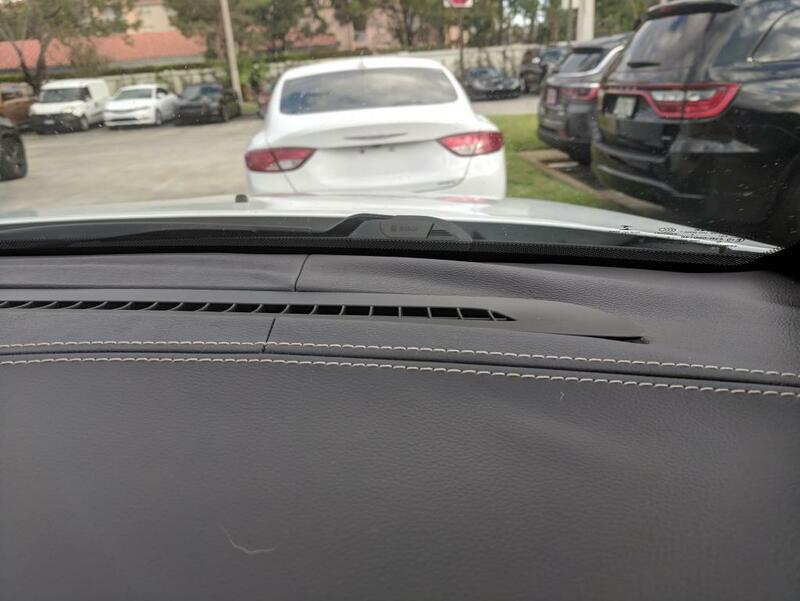 Chrysler refuses to resolve this delamination issue. This vehicle cost over $50k and the leather dash should not be lifting and rolling. All Chrysler products are susceptible to this. Buyer beware! Chrysler will NOT come to the rescue. 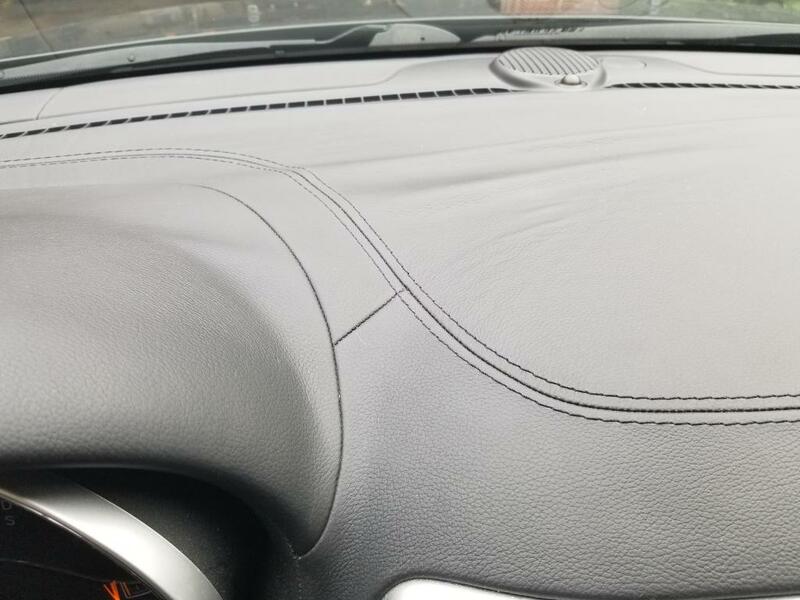 Update from Dec 13, 2018: It took a 4 months social media war, but Chrysler Jeep is now replacing the dashboard. Chrysler needs to own up to this and replace all delaminated dashboards for free. What an insane idea that paying $50k for a vehicle should entitle you to some semblance of quality. I will never buy another Chrysler product. Honda here I come! 3. No brand loyalty- This is my favorite criteria because this is my FIRST and LAST JEEP! How are they ever expecting a new owner to meet this criteria??? I am the first owner of this Jeep and I bought it brand new with 400 miles on it.......Go figure!! It's downright shameful and embarrassing for a company like JEEP to act like this isn't a widespread problem. The dealership told me that they see this same problem all the time. So why is JEEP treating their customers who spend $50k on a vehicle like trash??? Because I don't meet the above criteria I don't get to even speak to a case manager. I would be able to forgive them if they would just acknowledge the issue and take care of it. Now, I will never buy a Jeep again in my lifetime based on pure principal on how they treat customers who pay good money. Well I would like to say I'm surprised I'm here but I'm not. My Jeep Grand Cherokee Overland has had at least 10 recalls, including one recall where they included a check for $200 bucks for our trouble(probably one of those "By cashing this check you agree not to sue me" kinda payoffs. In less than four years I've had to replace the heater and more recently the air condtioner. Then, now my luxurious upgraded leather dash is bubbling up from the driver side all the way over to the passenger side. 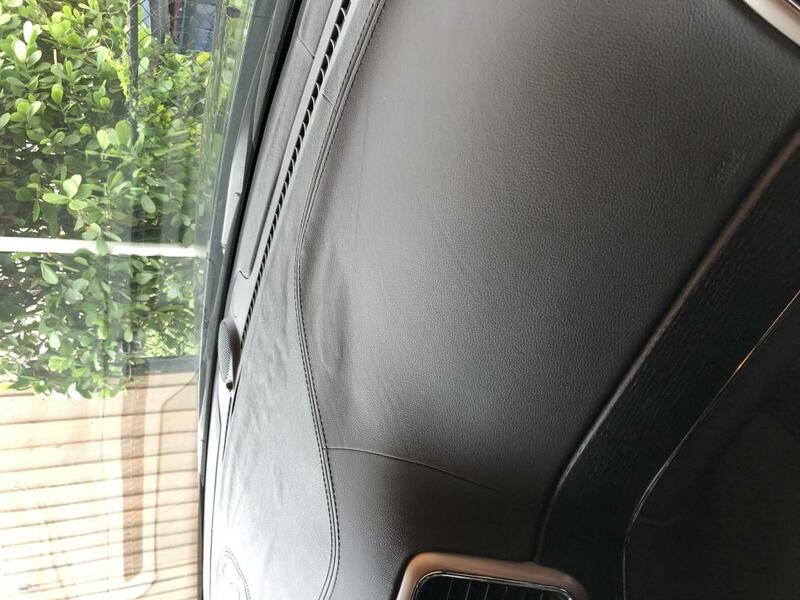 I too was shocked how common these Grand Cherokee leather dashboards are failing. If you type it in google you see dozens of images of failing Jeep dashes. What a nightmare. I spoke to Mopar Extended Warranty and they won't cover interior issues. I spoke to Chrysler and they said my car complaint fell outside of their internal guidelines for assistance. Now their 4000 manufacturing mistake is now mine to fix. WTF? I'm one extremely dissatisfied Jeep customer. I have two 2014 Grand Cherokees, an Overland and a Summit. Yes, I know better than to put all of my eggs in one basket, but did it anyway - after lengthy consideration. The leather dash on the Overland dash has started bubbling up just to the right of the instrument cluster. I haven't taken it in yet, since the lease is about to expire. This is the wife's vehicle, so you know I'm hearing about it - A LOT. This is a garage kept vehicle and a sunscreen is used when parked outside. 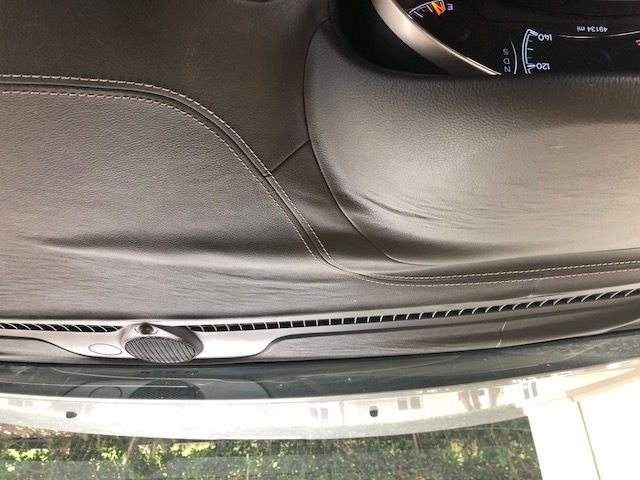 Vehicle still gets hot in this Texas sun. 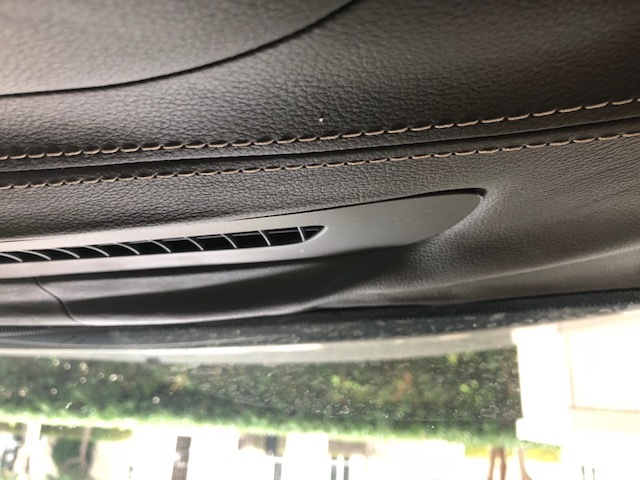 The Summit has not had the leather dash problem yet; however, it has had the wood grain laminate, on the trim over the over the glove box, split and peel off. Yep - the glue on it gave way. The cost to repair was $590.00 for the replacement trim and $120.00 to install. The 2014 Summit had 54,961 miles on it at the time. This is not a lease vehicle, so I will be hanging on to it for a while. Other than these two annoying issues, I love the Jeeps, as does my wife. Has anyone had any success getting Chrysler to cover the cost of repair for either issue? 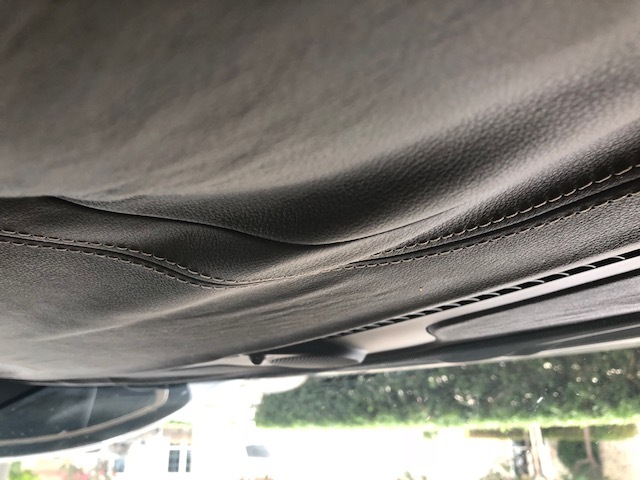 I bought my 2014 Jeep Grand Cherokee Overland in used condition from a Jeep Dealership (it was 2 years old) The dashboard started to bubble the following summer on the driver side. I called Jeep at this time. They advised me to call corporate. NO ONE will do anything about it! Corporate blamed it on the prior owner. She said it's from using inappropriate cleaning supplies on the dash!! Explaining it must have lifted the glue. LOL! NONSENSE!! The dealership gave me a price of around $3,000-$4,000 to replace the dashboard out of my OWN pocket! It seem to worsen once winter arrived. FRUSTRATED... 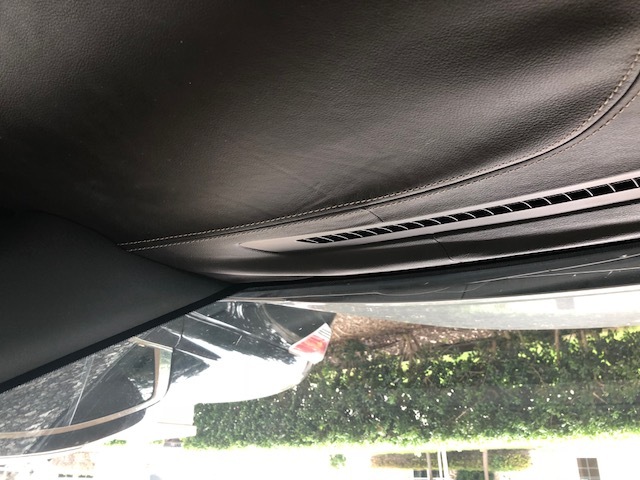 I went to a local upholstery place (whom also fixes car interior) This upholstery business along with 3 others basically told me they cannot fix it since its glued and put together by a machine. I'm now on the second summer & the bubbling has stretched across to the passenger side of the dash!!! A beautiful stitched leather dashboard looks like COMPLETE SH**!!! This is my first Jeep purchase. Needless to say I WILL NEVER purchase another!!! This problem along with all the recalls and fixes has been stressful and inconvenient to say the least!! So much time and money along with a monthly truck payment has me TICKED OFF indefinitely!! I have read several complaints in reference to this issue and I am puzzled as to why JDC has not address it in is entirety. I look forward to seeing a resolution from JDC. I have a 2014 Overland GC that I purchased new. 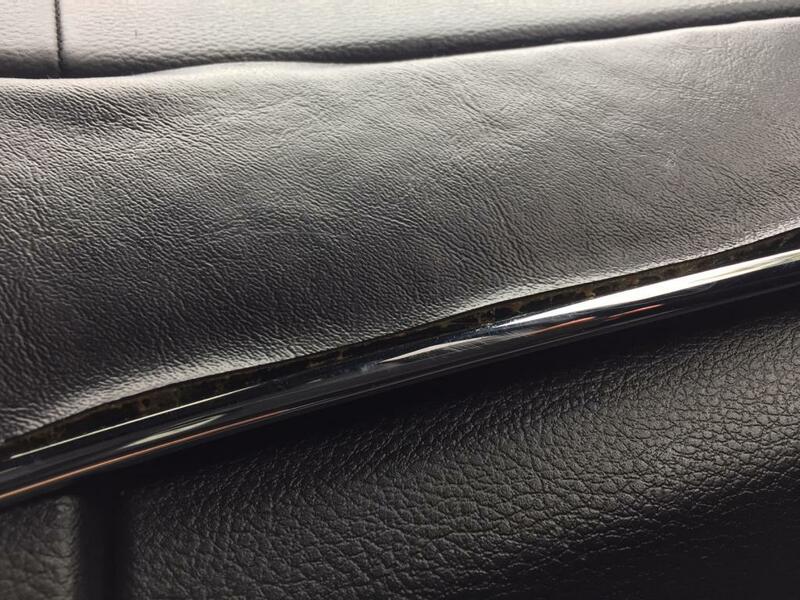 The leather dash is coming apart and wrinkling/bubbling up. It started within the last 2-3 months and is expanding at a rapid pace. The dealership acknowledged that this as an issue they have seen and it would cost around $3000 to replace, they cannot repair it. Suggested I contact Chrysler. I did, they denied it stated I am out of warranty and have too many miles.112K. My vehicle is garaged or under a carport at my home. It has been well cared for. I take my vehicle in for service at a certified jeep dealership. I am the original owner. I've had many recalls and numerous other issues fixed under warranty. Overall, I was satisfied with my Overland and the service I had received. I cannot understand with the number of complaints for the same exact issues, that my complaint was denied. No adjustment or offer to help to remedy the problem. This issue is all over the internet on forums, you tube, news stations have covered it. They reject my complaint because of mileage? It is not a mechanical issue. Has nothing to do with miles driven. I am near retirement. I would have remained a loyal customer. It's a shame Chrysler will not stand behind an upgraded that is faulty. This problem absolutely ruins the vehicle not to mention devalues an expensive vehicle. Love my 2014 Jeep Grand Cherokee Overlander but recently noticed bubbling on the dash board. It was NOT there until a few weeks ago. The vehicle is stored inside and I use the Sun Shield when I'm at work. Looks horrible. Less than 50,000 miles when this happened. Took it to my dealership for regular maintenance and a recall (this is the 2nd one) and they told me it would be over $2600 to fix this and was not under warranty. I was SHOCKED, I've been a Jeep owner on and off for many years. All three of my adult sons are Jeep owners. We are Jeep People. 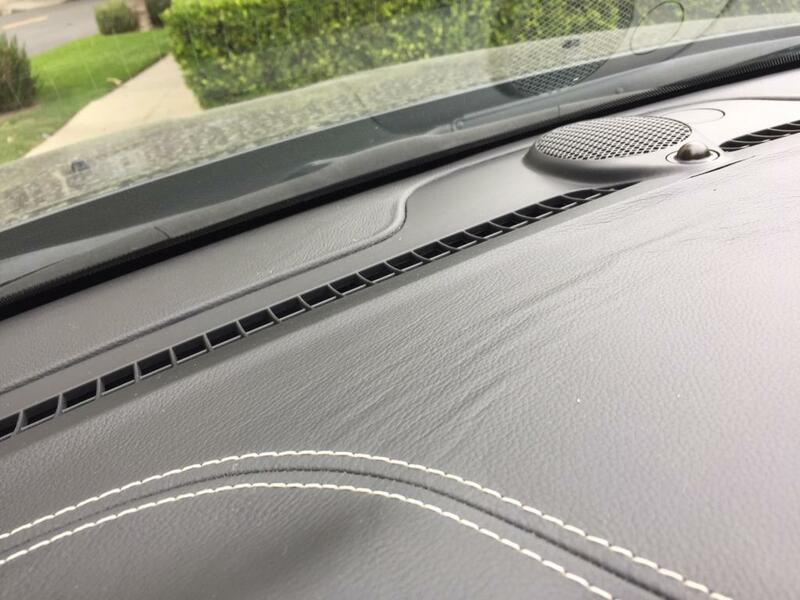 I've owned many cars with leather interior and have never had this issue. Even years ago the Jeep we had (we put on over 250,000 miles) never had this issue. Spoke with Chrysler today and they entered a CASE - but I am curious for all of you who've had this issue how it was resolved. I believe it is clearly a quality issue. It's apparent it is an ongoing issue to many Jeeps. Sad that the quality is lacking. They should cover it 100%. We shall see what happens. Purchased new in Dec of 2014 ($47,000). The dash on this expensive luxury car is bubbling to the point that it looks like I have speed bumps in the dash. Completely separating. WTF? Less than 4yrs old? Jeep should be ashamed! I'll never buy another. Dealer is no help. Quoted me $2300 to fix it. Are you freakin kidding me? 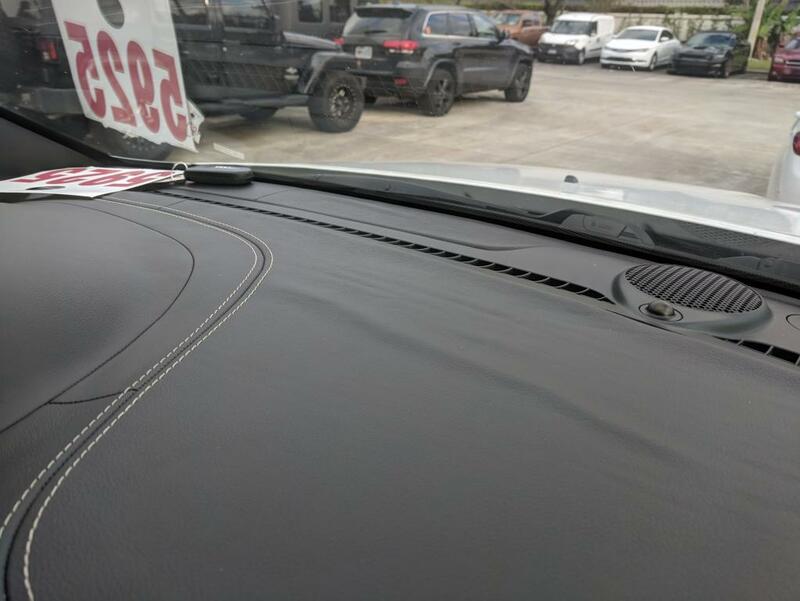 After purchasing this barely used 2014 Jeep Grand Cherokee SRT in July of 2015, I noticed a small bubble on the passenger side dash cover. It was small enough at first, I thought it was perhaps a small sunspot or blemish. As a small amount of time went on, it started to spread. I went to Sands Bros. Jeep in Quakertown, PA. The service manager came out, took pictures and seemed genuinely interested in trying to find a solution through Jeep Corporate. He asked to give him until the following Monday and he would contact me (it was Thursday). I didn't hear from him and gave a few more days before calling, with no response. I went down two weeks later to confront him and was rebuffed, never getting a response or solution. I had to go back in for a recall notice and the service tech Amy apologized, mentioning that was the reason that Mgr was no longer working there. She took new pics and we are now waiting for an answer from Jeep. The jury is still out on Sands Bros. Jeep and how they end up helping to clear this up. Either way, when you spend this much on a car that can MSRP in the 80k range, this should never be a problem. We will also be filing another issue with the drive shaft. I recently purchased a used 2014 Jeep SRT. My leather dashboard is also bubbled up. I don't know how I missed this before purchasing it. After reading all the complaints on this site, I felt it was only right to speak out about the SAME issue. Maybe with enough complaints we can get Jeep to stand behind their vehicles. AWow...a $50,000 vehicle that has a leather dashboard which lasted less than 4-years. What joke that quality...American vehicle manufacturing is poor, especially Chrysler. We should have let them go out of business years ago....buying GM next time!!! Contacted Jeep Customer Care and was told to take to dealership since warranty had just expired. I do have lifetime Mopar warranty, but as much have stated this is not covered under that coverage and car was just 2 months out of warranty and under 36k. Jeep is kept in Garage, with sun window visor when out and maintained to the T. Like everyone, paid extra to have the added leather on dashboard. After working with customer care and dealership the total cost to replace is about $1,900. Jeep corporate offered to only cover $800 and I will need to cover the rest. I am in awe as this is a known issue due to their negligence on their dashboard workmanship. This issue dates back to 2011 Grand Jeeps and whats to say this replacement wont have the same issue after its replaced. How can they get away with this kind of issue. I have been a jeep owner for 20+ years and is this isn't fixed to original status, this might be my very last. Who else is still having this issue? I moved to Conroe Texas from San Jose California. And within a week the dashboard started bubbling and making cracking sounds. 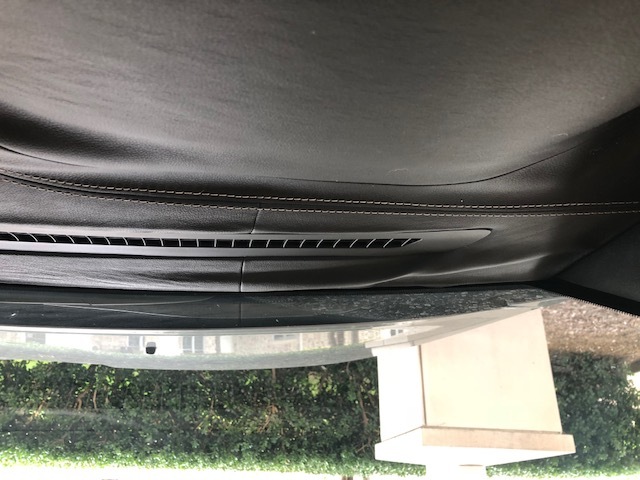 I'm not sure if it was the difference in heat or what, but a fifty thousand dollar car should not do this no matter what the weather. I feel like this is a factory defect. I take really good care of my car so this is a really big eye sore to look at and every time you start the car the cracking sound starts. I am disappointed in the quality of this Jeep.